CNN and The New York Times: How Committed To Good Journalism? I don’t know which is sadder – the fact that CNN decided to outsource much of its investigative reporting last May, or that the event largely escaped notice until The Daily Show publicized it last week. CNN is such a shadow of itself, I’m not sure how big an audience there is for its investigative reports, or what real impact they have on the world. Nevertheless, anytime investigative reporters lose full-time jobs, that’s not good news. Being outdone by a fictional news show isn’t great either. And while The New York Times isn’t laying off any environmental reporters, the fact that the paper announced this month that it would disband its environment desk also raised concerns about the paper’s continuing commitment to covering the environment. As I wrote in my blog for the Union of Concerned Scientists, I can’t say I find The Times’ explanation for axing the specialized desk of reporters and editors very convincing. 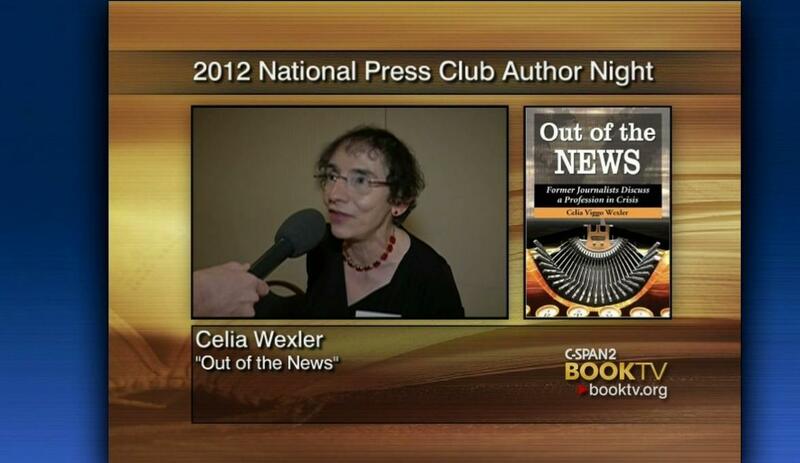 I was interviewed at the 2012 National Press Club Fair by C-SPAN’s Book TV and the interview is up on the C-SPAN website!